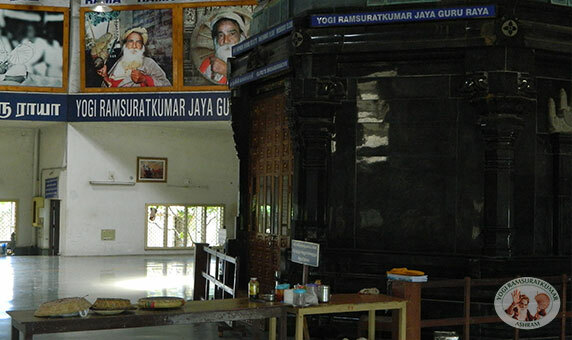 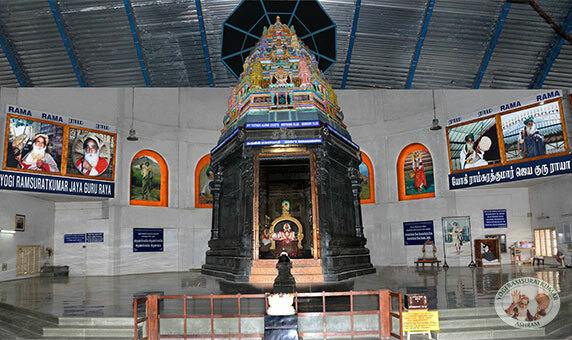 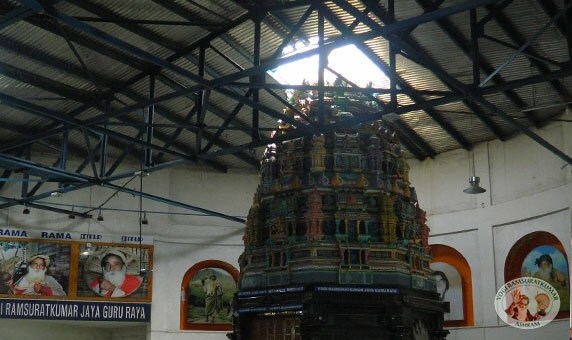 The Maha Samadhi Shrine is situated on the Southern side where the physical body of the Master has been interred. 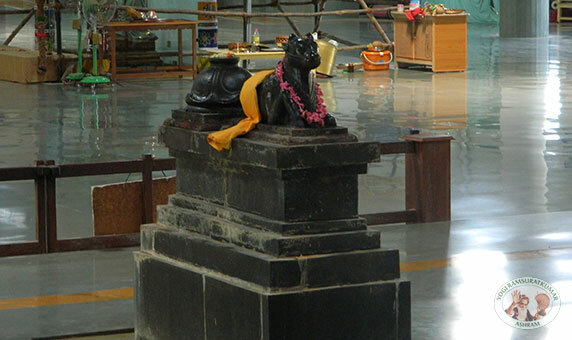 A Sivalinga specially brought from Varanasi with Vedic chantings stands installed over the Maha Samadhi. 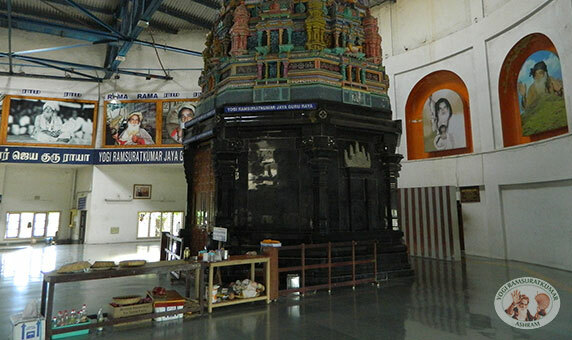 Poojas twice daily are conducted in this Samadhi Shrine with chanting of Vedas, very dear to the Master.